The dollar rallied about 20% between 2H14 and 1H15 largely as a safety bid. Remember that the EU was going through a second round of fiscal issues during this time. 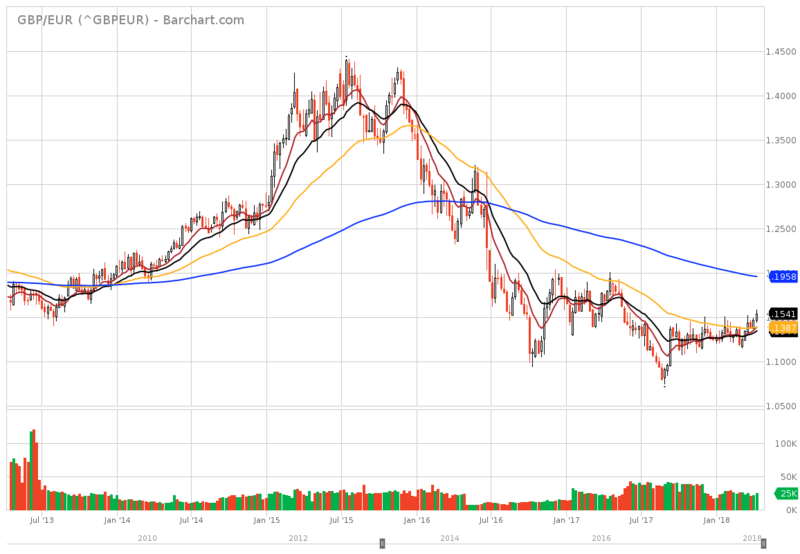 The dollar traded sideways until about halfway through 2016. The Fed started to raise rates at the beginning of the year and continued at the end. 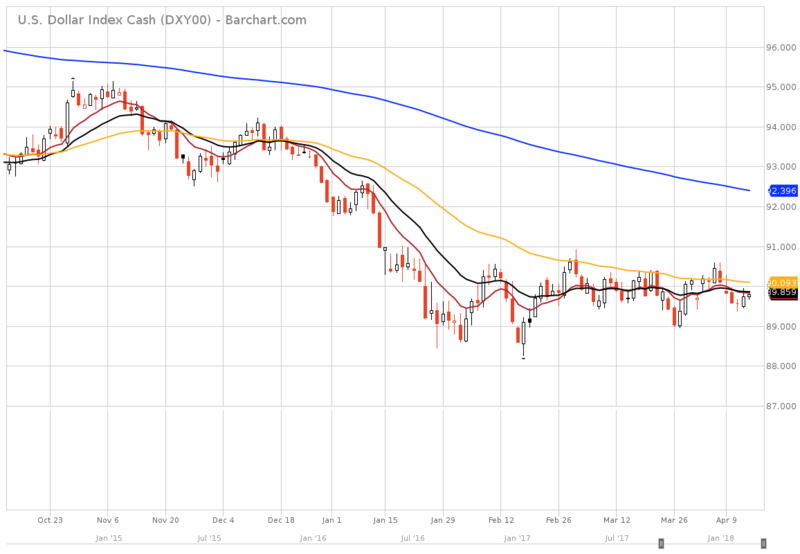 The dollar began falling in 2017 as other economies started to see a pick-up in their respective growth rates. At the beginning of 2017 Markit’s EU PMIs started to rise; Japan’s economic growth started to increase as well. Since the start of the year, the dollar as traded between 89-91. 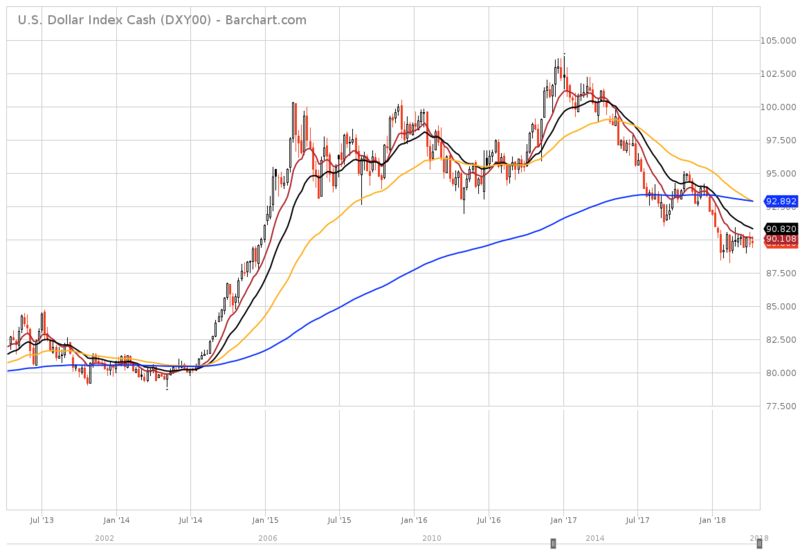 The dollar has maintained this level even as the Fed has raised the possibility of four rate hikes this year. We see the big tumble in 2016-2017 when the UK voted to leave the EU. The currency markets obviously believe this to be a huge mistake, leading traders the greatly devalue the sterling. Ultimately, the pound lost about 18%. In the last six months, the pound has stabilized verses the euro and is now at a six month high. The reason is the BOE is far closer to raising rates than the ECB, thanks to the UKs inflation rate heating up. 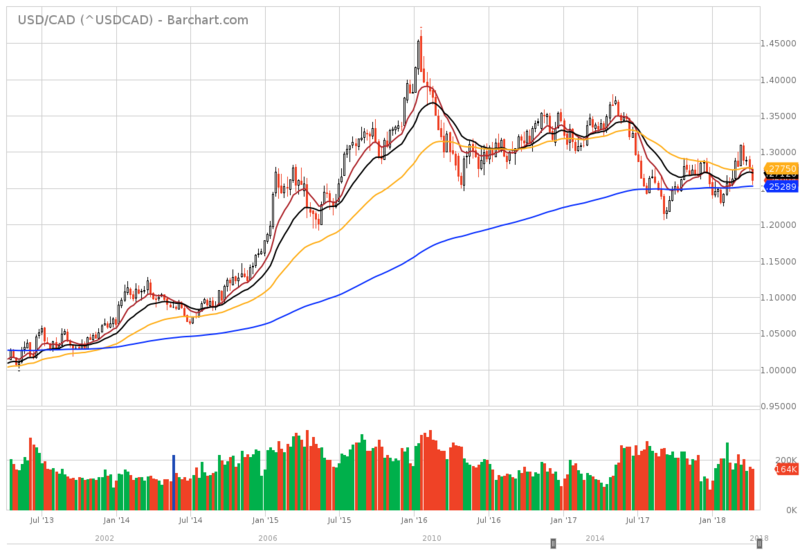 The dollar gained about 40% verses the CAD between 2014-2016. 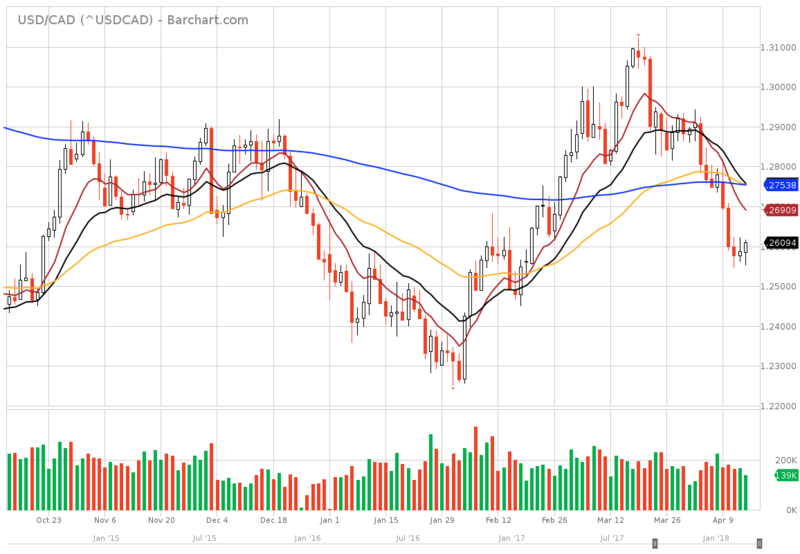 Since then, the faster pace of Fed rate hikes has kept the dollar elevated versus the CAD, although the Canadian dollar has gained a bit since the Canadian economy has rebounded. 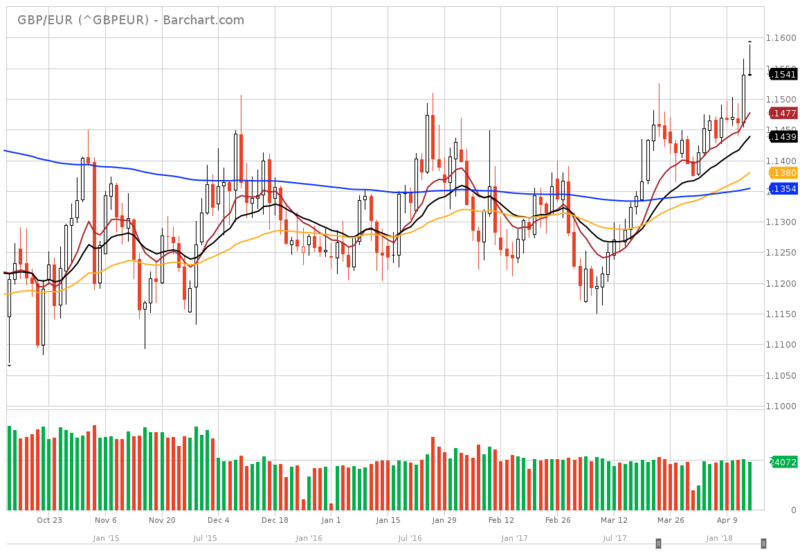 The pair has traded between 1.23 and 1.31.